On An Overgrown Path: If Fair Trade works elsewhere, why not in music? If Fair Trade works elsewhere, why not in music? That is the Berber flag carrying the symbol of the Amazigh, meaning 'free people', in the Facebook photo; some of our Berber friends in Morocco are holding it and they appear again in the photo below. In Libya and elsewhere in the Maghreb, Berbers have been a major force in political change to the extent that events in North Africa have been dubbed the 'Berber spring'. The Berbers are the indigenous ethnic group in much of North Africa; despite extensive intermarriage with immigrant Arabs they have retained a strong sense of identity and the marginalisation of Berber culture is a continuing source of friction. In his book Tibet Tibet Patrick French identifies a 'Tibet of the mind' - a fantasy image created in Western minds of Tibet as a vanishing Shangri-La, an image which contrasts sharply with the more complex and less mediagenic reality. Similarly there is a 'Morocco of the mind' - a fantasy world of Marrakech riads, souks, personal shoppers and castles made of sand. 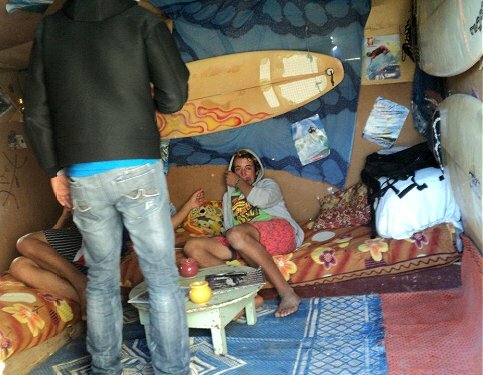 However the real Morocco is both more complex and less mediagenic, but that makes it no less appealing; last year some of our young Berber friends in a village in the Agadir region invited us into their homes and they were some of the most hospitable, open and positive people we have ever met. 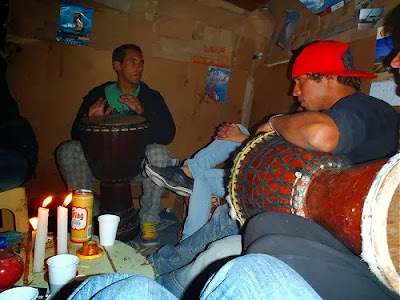 There is also 'music of the mind' - a fantasy sound created by record companies to make indigenous music more palatable to Western audiences and marketed under the reassuring umbrella of 'world music'. Ethical troubadour Titi Robin has warned against 'music of the mind' and the associated colonial attitudes which create a one way traffic of talent from East to West for the benefit of corporate record labels, and the soundtrack for this post is 'anti-music of the mind' par excellence in the form of his new Riverbanks project. When I wrote about Riverbanks after the premiere concert in Paris Michael Rolfe added a comment describing it as "a remarkable enterprise, by a remarkable musician... quite simply, a masterpiece". Regular readers will know I am not a great fan of the overworked epithet 'masterpiece', but in this instance I am going to agree with Michael. I have been living with Riverbanks for several months and it quite simply sounds better every time I hear it, plus the 3 CD album is an astonishing bargain to boot. 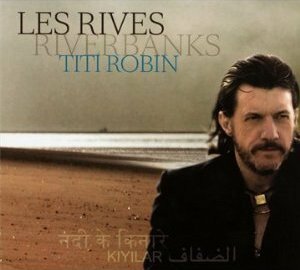 The Moroccan Riverbanks CD was recorded, edited and mastered in the Agadir region using local musicians including a contribution from the great Berber singer Cherifa Kersit, several of the tracks are sung in the Berber Tamazight dialect and the disc was available on the local Ayouz Vision label ahead of its European release. A similar 'local content' policy was adopted for the Indian and Turkish Riverbanks discs and the result is an album that is outstanding both musically and as an ethical benchmark. The World Fair Trade Organisation defines Fair Trade as "a trading partnership based on dialogue, transparency and respect, that seeks greater equity in international trade". If Fair Trade is possible in other markets why not music? Riverbanks samples here, and more on the real Morocco here.